Microsoft has released an iteration of its Bing search app exclusive to the iPad. Following in the footsteps of the iPhone and iPod touch versions that have been around for a while, Bing for iPad acts as a more than just a fancy online search engine. The iPad app goes above and beyond basic search capabilities, featuring a customizable home screen filled to the brim with news, traffic, weather, stock quotes and more, as well as searches specific to your current location. A useful, integrated map views allow users to find places and get directions along with real-time tracking. Road, traffic, or aerial views straight from “Bing Maps” are available in most locations. The hub also lets users follow current news and trending (Bing) search topics in a rich, optimized interface that sports clean images and a magazine-style layout. The application incorporates voice-activated search and easy navigation between Bing results and web pages by displaying search results framed within a Bing search bar. 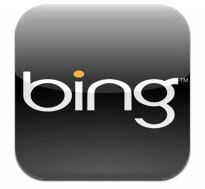 Bing for iPad is available from the App Store as a free download.